If ever a bird had the ability to make winter seem a distant memory while frost is still very much on the ground, it would be the American Robin. It seems like as soon as we see robins doing their stop-and-go flutter across the grass in the apple orchard at the B&B, it’s like winter never happened. Interestingly, the American Robin is a year-round resident in most of the United States, but it spends most of the winter tucked away, roosting in trees. 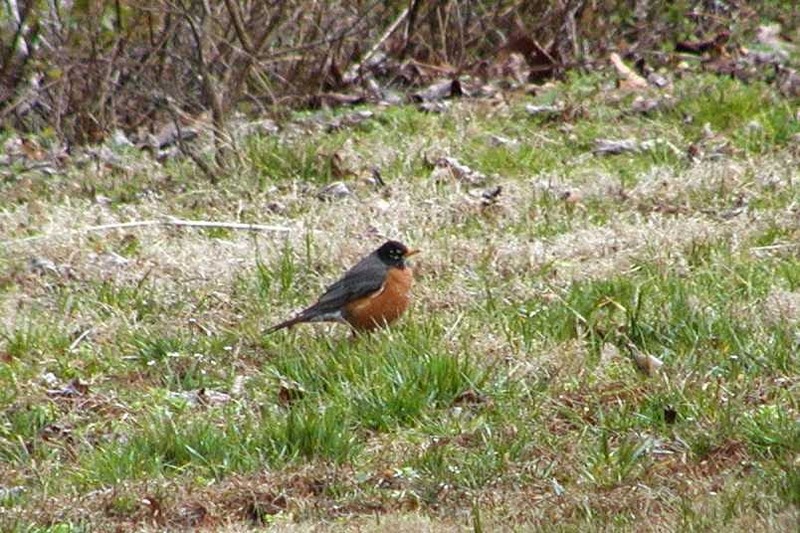 American Robins are easy to spot come springtime, with their flashy, orange-red chests, dark heads and yellow bills. They’re also fairly large and fairly loud compared to other songbirds. 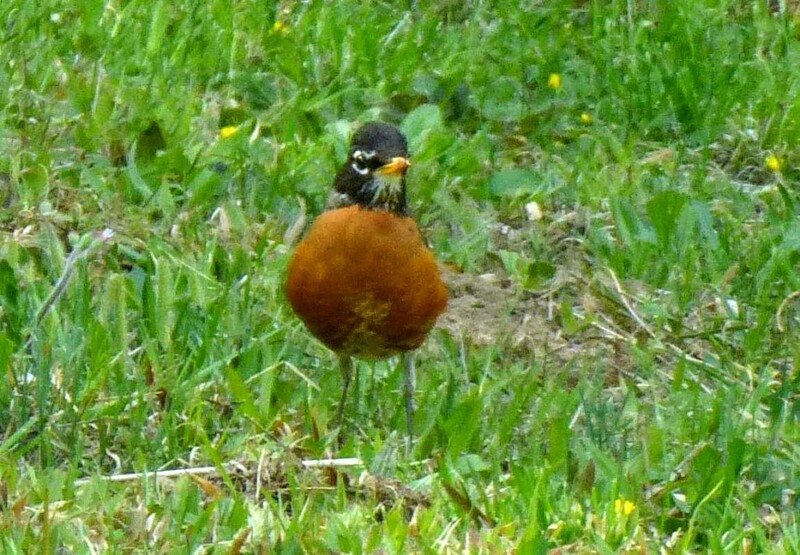 The whistling song of an American Robin is clear and according to the Cornell Lab of Ornithology, is often described as “cheerily, cheer up, cheer up, cheerily, cheer up.” The pitch rises and falls, but the rhythm is steady. The oldest recorded American Robin was almost 14 years old, but typically, the entire population turns over on average every six years. Robin roosts in the wintertime can be as large as 250,000 birds. paper, feathers and moss to build nests. 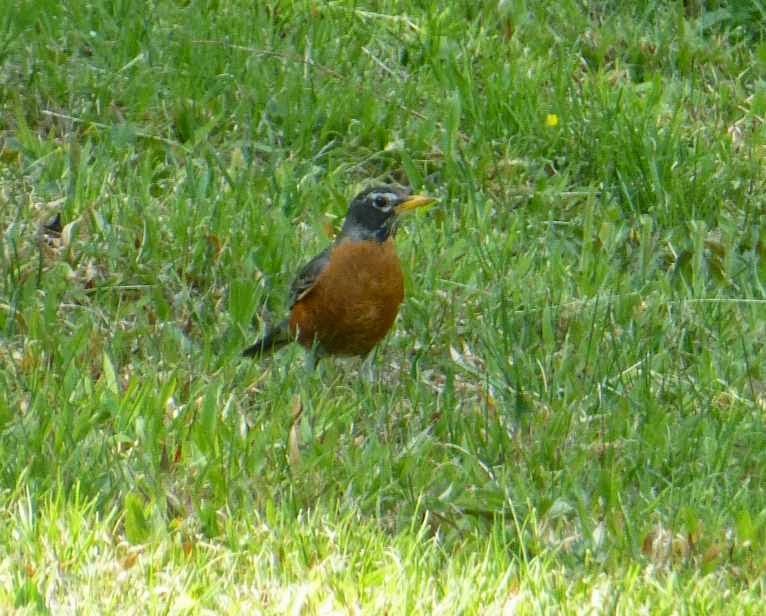 The American Robin’s diet changes depending on the time of day. They like earthworms for breakfast and fruit later in the day. Robins can actually get drunk on honeysuckle berries.